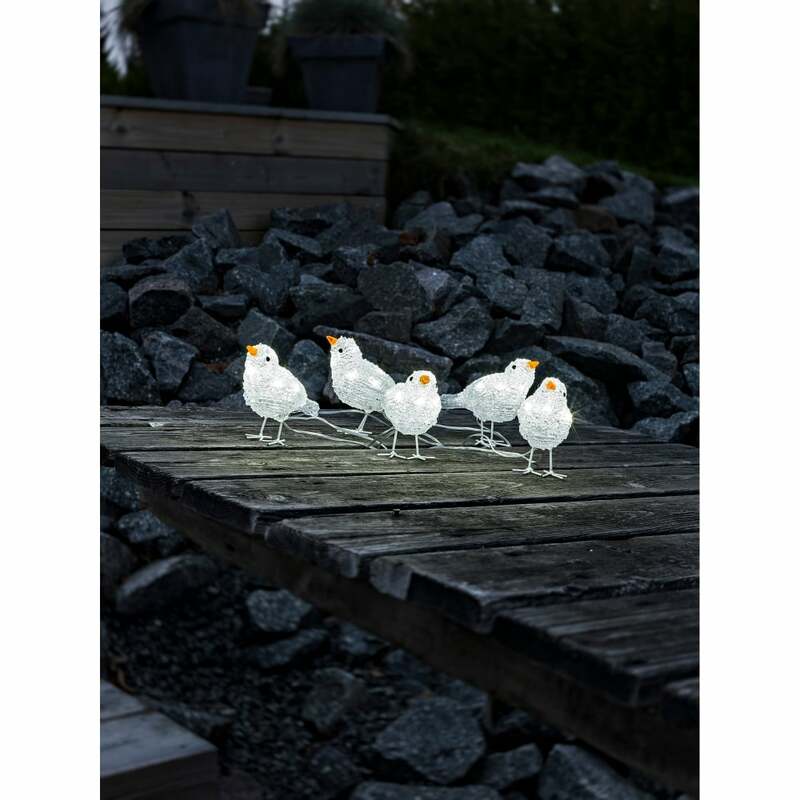 Konstsmide quintet of white acrylic birds with little yellow beaks, each one containing 8 white LED's. This charming set could be suitable for all year round but would sit very well on an outdoor Christmas tree in the winter. Mains operated and suitable for outdoor use. This product code is 6144-203.